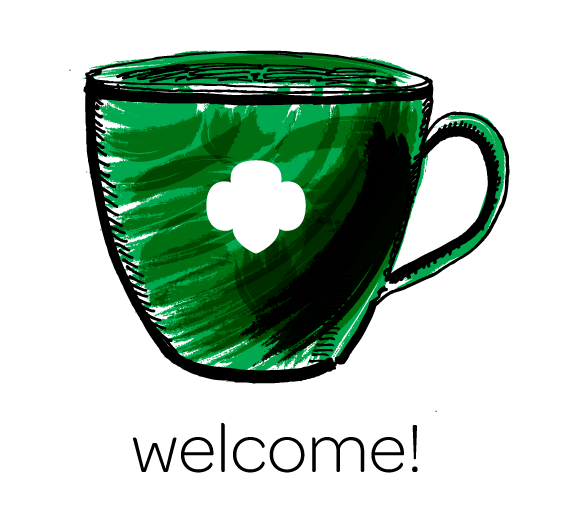 Girl Scout Leader Appreciation Day is April 22! 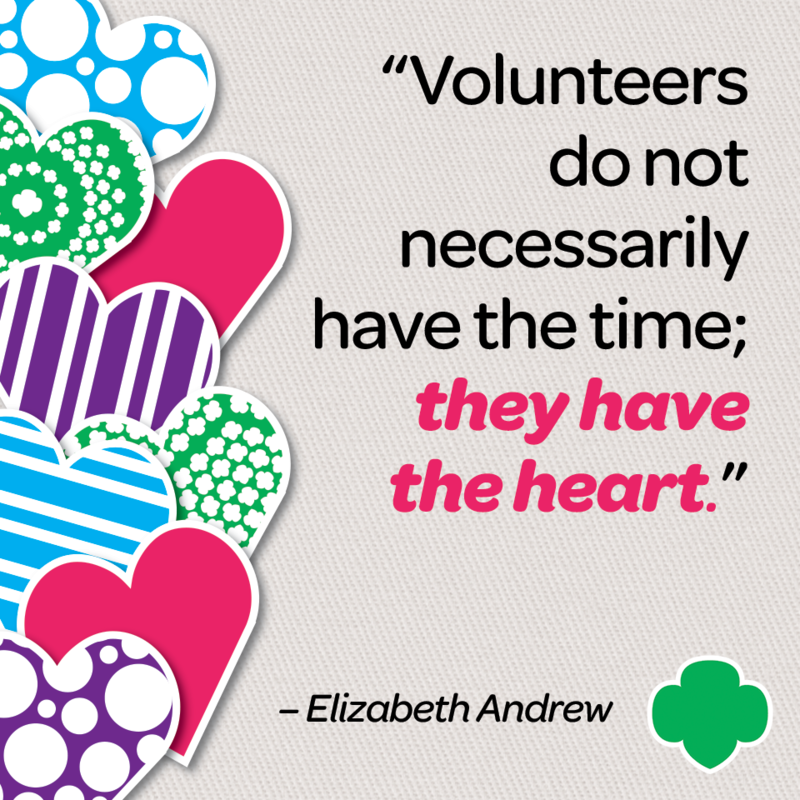 The very essence of Girl Scouting depends upon the contributions of volunteers. 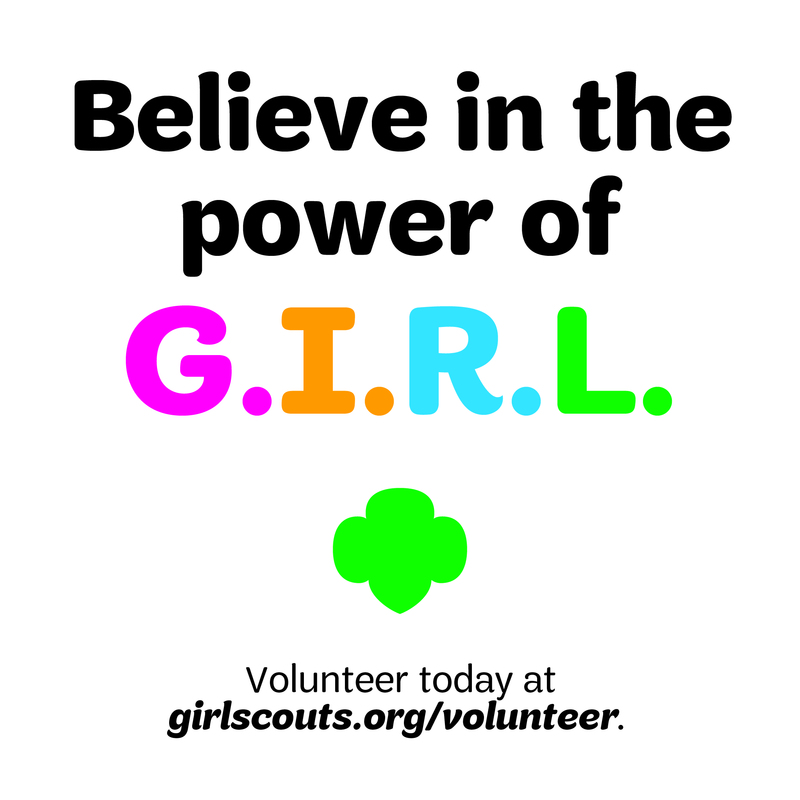 Whether a volunteer contributes time because she or he loves working with girls, sharing a skill or any of a million different reasons, a heart-felt thank-you goes a long way towards making that person feel appreciated. The gesture doesn’t need to be big and grand — it can be as simple as a thank-you letter or a card signed by your troop or service unit/Girl Scout community team. Smile and just say thanks in person! Mail a handmade card with a thank-you proclamation signed by the whole group. Sometimes, actually hearing someone say, “Thank you,” can make all the difference. Why not take it a step further and create a special video of thanks by the girls? Then, upload it to Youtube or social media to share! A unique, homemade gift bag with a custom label or a note is a simple, but heartfelt way to show your appreciation. Display a thank-you poster on their lawn or mailbox or house door, and tie balloons to it! Place thank-you notes on their automobile at work and attach balloons to their car antenna. Take a leader’s picture and send it to the newspaper; include a thank-you caption. Thank leaders in person and wish them a good day! Present leaders with homemade gifts from the girls and their families. Record girls thanking their leaders as PSAs at local radio stations. Hold an appreciation dinner at your home and get to know your leader like a friend! Make a financial contribution to Girl Scouts in honor of your leader. Present them with heart-shaped lapel pins. Organize a special outing for leaders to relax at the movies, theatre, sporting event, spa, etc. Give a mug full of chocolate hugs & kisses! In appreciation for time given by volunteers, give the gift of thyme. Decorate a terracotta pot, and plant thyme. Or give dried thyme, thyme in olive oil, or bread flavored with thyme. Send a “Letter To The Editor” of this blog with a nice note about why you thank you leader, plus a fun picture we can share! Send letters and pictures to Kli@gssgc.org. Give a festively wrapped Girl Scout Cookie box stuffed with thank-you notes from girls, families, and others (instead of cookies)! Send a small token of appreciation and attach a famous quote or proverb. 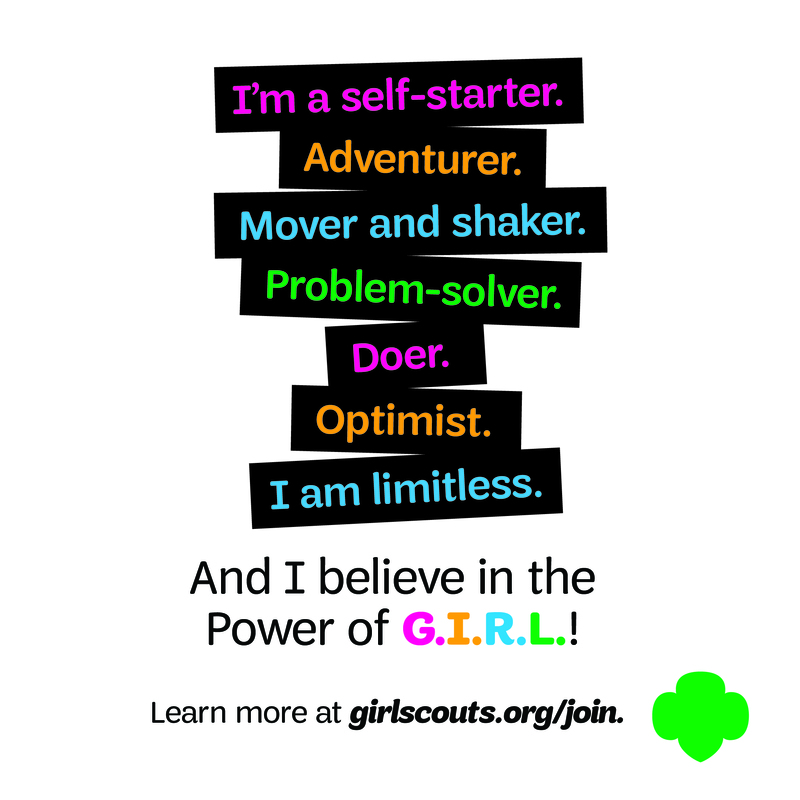 Check out the GSSGC Shop for some Girl Scout swag online at http://www.girlscoutshop.com/SAN-GORGONIO-COUNCIL or at your local Service Station. Attend THE event of the season with her, our Annual Meeting and Adult Recognitions Gala at the Classic Club in Palm Desert! The event is May 9, 2015. They can mingle with fellow volunteers while partaking in the famous “E” dessert buffet! Previous Previous post: My Troop attended the “Bullyproof Program” at Gracie Jiu-Jitsu…and yours should, too.